Power washing your sidewalks and curbs seems like a small task, but man… what a difference it makes. 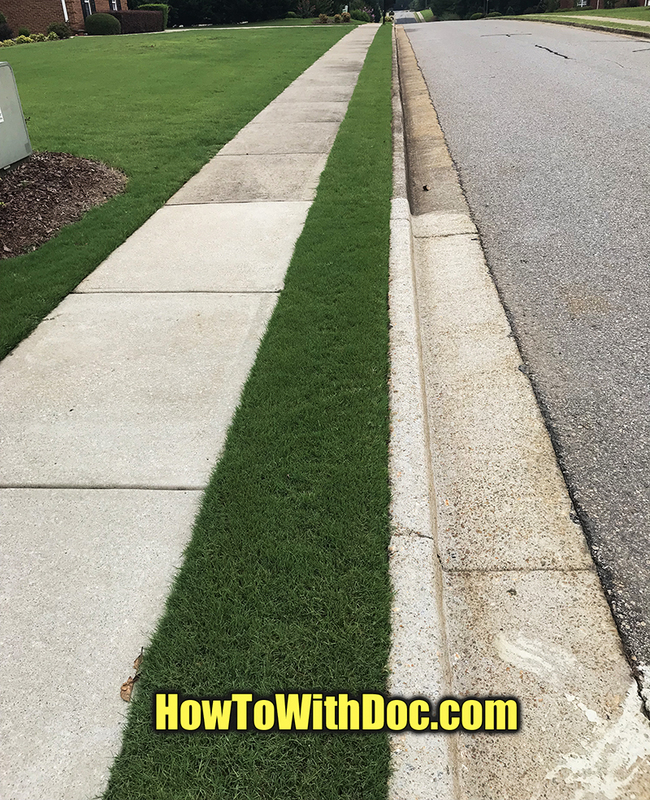 After pressure washing your sidewalks and curbs you’ll be shocked and your neighbors will be a little embarrassed with the condition of theirs. Cleanliness… often breeds more cleanliness and hopefully the whole neighborhood will join in. In this video Doc shows you just how easy it it with the right tools. Pressure washing cement sidewalks and curbs. To see all the products links… click the below. Here is a picture of the finished walkway. Guess where my property line is?